God recently opened the way for me to work with Pastor Vitto in a medical mission outreach, here in the province of Laguna, where we live. About an hour from our home is a small town where we invited the sick and suffering to come and be healed of many of their illnesses and learn how to live healthfully. When I arrived, there were about 50-60 people crowding the barangay (town) hall where they were being given herbs and natural supplements. 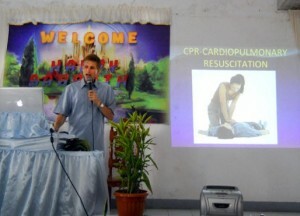 I quickly began my lecture on health and the people listened intently. I exposed the dangers and devastating effects of animal foods on the body and then shared with them the original diet in Genesis 1:29. Trust in divine power was emphasized throughout, as I said, “Do not leave and try to be a vegetarian because you will fail! Pray and ask God for grace to change your diet and lifestyle, then He will empower you to follow the light we are sharing here.” I gave them texts including Hebrews 7:25 and 1 Corinthians 10:13 and then presented a simple transition diet program for them to follow. James Kirtley presents the health message. I then spoke about exercise and told them how God had convicted me to do strenuous exercises. I have recently formed a jogging and exercise club with some members of our local church and we are running about five kilometers every few days. We talked about how endorphins are produced by the brain during vigorous exercise and how they make me feel happy, not only when I run, but affect my mood and energy levels as well. “Medical missionary work brings to humanity the gospel of release from suffering. It is the pioneer work of the gospel. It is the gospel practiced, the compassion of Christ revealed. Of this work there is great need, and the world is open for it. God grant that the importance of medical missionary work shall be understood, and that new fields may be immediately entered. Then will the work of the ministry be after the Lord’s order; the sick will be healed, and poor, suffering humanity will be blessed.” Medical Ministry, 239. After the health lecture, we proceeded to give health consultations for various illnesses ranging from diabetes to high blood pressure, to headaches and constipation. The groundwork has been laid for our upcoming evangelistic crusade. We will return and present them with the Three Angels’ Messages. 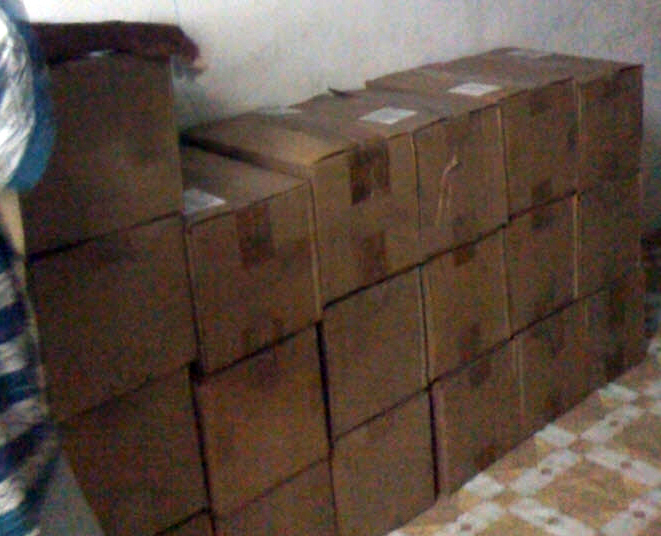 Boxes of literature ready for distribution. Another project we have been working on is our ongoing literature distribution. When we returned from a recent trip to Manila, we delivered 19 boxes of tracts written in Tagalog to distribute to the province of Laguna. One of the laymen is a brother who has been leading out a group of about 30 people. They have been meeting on Sabbath as a “company” of Seventh-day Adventists and will soon form a church, since their numbers are continuing to increase. These brethren are very active in literature distribution and giving Bible studies from house to house. Please remember to pray for them and their evangelistic outreach. We are keeping them supplied with tracts for their work, and will soon visit their fellowship and share messages on health and the gospel. “God has placed at the command of His people advantages in the press, which, combined with other agencies, will be successful in extending the knowledge of the truth. Tracts, papers, and books, as the case demands, should be circulated in all the cities and villages in the land. Here is missionary work for all.” Christian Experiences and Teaching, 226. We have been working with several families near where we live. They are back slidden Seventh-day Adventists and are hungry for the gospel message and fellowship. We have been giving them regular Bible studies at our prayer meetings and on Sabbath afternoons. They invite non-Seventh-day Adventists to come and listen, as I share our evangelism slides which cover topics including the Three Angels’ Messages, the state of the dead, and health. We never know when we will have the opportunity to witness for the Lord. We continue to get invitations to speak in different churches and in other venues. A few weeks ago my wife’s grandmother passed away and there were nightly services held in her aunt’s home. In the Philippines, the coffin of the deceased is usually brought into the home for about a week so that relatives, friends, and neighbors can give donations and comfort the family. During these events, many Seventh-day Adventists hold nightly services. On this occasion, I was invited to speak one night, and so my wife, daughter, and I gave special music before I spoke. The Lord moved upon the hearts of the relatives and neighbors as I shared about the state of the dead and the preparation for eternity. I talked about accepting Christ into our lives, repentance, and confession. During this sharing time, I gave my testimony and shared how God had delivered me from drugs, alcohol, and cigarettes, and how He turned my life around. I encouraged people to surrender their lives to Jesus Christ and allow God to renew their hearts and minds. Julius completes his health program. We had a man named Julius complete our ten-day cleansing program. He is an engineer and used to work in the Middle East, but his company had sent him home because he tested positive for hepatitis B. 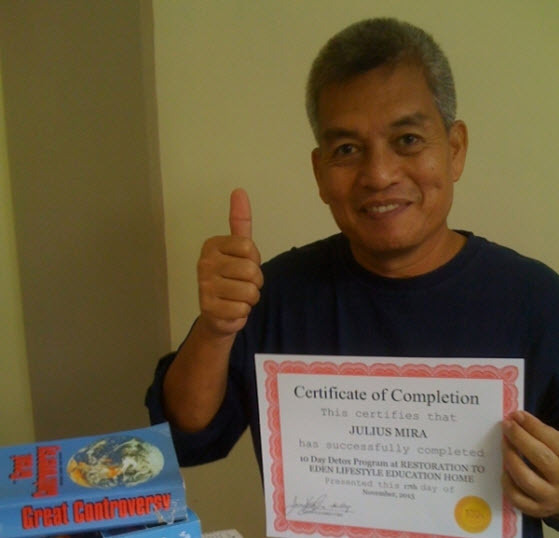 When he came back to the Philippines, the doctors told him that there was no cure for the disease and that he would have to take medication for it. His family members are dependent upon him for support and they had accrued debt during his unemployment. 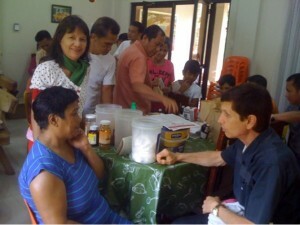 When he went through the health and healing program, I told him that God is the one that heals. Recently, I received a text from Julius: he has been healed and is back to work in the Middle East. To God be the glory! We wish to thank those of you who have partnered with us in reaching the Filipino people. We are grateful for your prayers, encouragement, counsel, and support. “In commissioning His disciples to go “into all the world, and preach the gospel to every creature,” Christ assigned to men the work of extending the knowledge of His grace. But while some go forth to preach, He calls upon others to answer His claims upon them for offerings with which to support His cause in the earth. He has placed means in the hands of men, that His divine gifts may flow through human channels in doing the work appointed us in saving our fellow men. This is one of God’s ways of exalting man. It is just the work that man needs, for it will stir the deepest sympathies of his heart and call into exercise the highest capabilities of the mind.” Counsels for the Church, 272. By James and Daryl Kirtley. U.S. phone: 916 476-9772. Email: steps2eden@yahoo.com.